In severest-ever indictment of the the implementation of the right to food dictum in “progressive Gujarat”, a new survey, carried out by the Anna Suraksha Abhikar Abhiyaan (ASAA), a consortium of 18 NGOs focused on right to food, has found that over 81% of severely undernourished and 73.5% of moderately undernourished children of Gujarat do not have their names on their families’ ration cards. “This failure results in both the family and the child being unable to avail of their full entitlements of grain”, a report, based on the survey, whose results were released in Ahmedabad, said. In all, as many as 2,230 children were surveyed across the state. The survey was carried out in as many as 20 districts, including seven high priority talukas (HPTs), identified by the Government of Gujarat as those which are most vulnerable in terms of nutrition, three urban slums identified by partner organizations as being food insecure, as well as several villages in non-HPTs, that are home to seasonal migrant communities and de-notified tribes. The survey results suggest that in contrast to state data claiming drastic reduction of malnutrition over the last decade to 27%, the rate of child malnutrition in Gujarat is 43.9%. 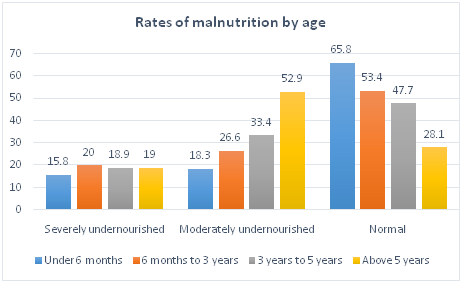 Pointing out that amongst tribal children the malnutrition rate is 55% (25% severely malnourished and 30% moderately malnourished), the survey, carried out between January 1 and January 17, 2014, finds that among SC children, the rate of severe undernourishment is 19%, and the overall undernourishment is 46%. 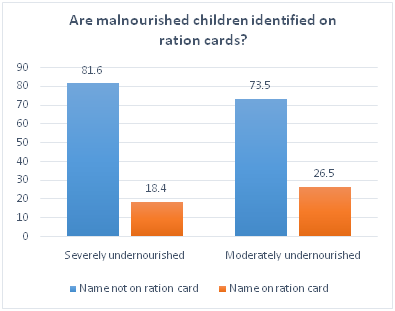 As for OBC children, severe undernourishment rate is 18% percent and overall undernourishment is 48%. As against this, 9% of general category children are severely undernourished, and overall malnutrition rate is 24%. 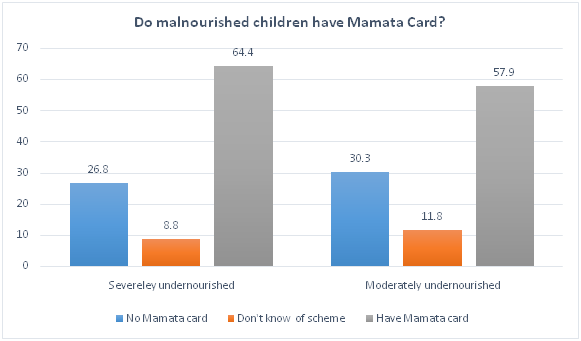 The report further says, there were “significant discrepancies” between malnourishment data provided by local anganwadi centres, and the rates of malnutrition identified by field workers using the same measuring devices. 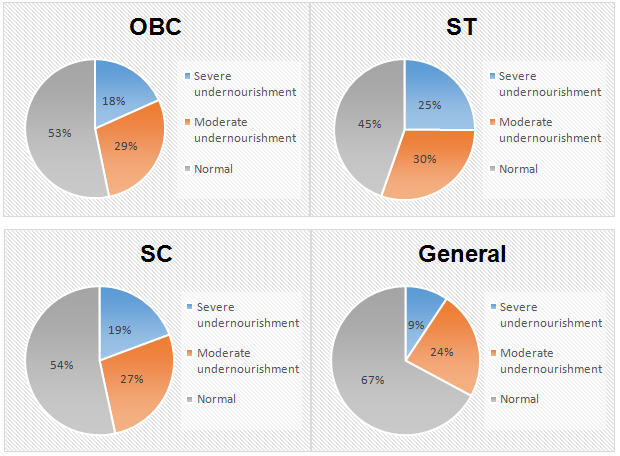 “When looking collectively at the rates of severely and moderately undernourished children, the difference between anganwadi data and study data amounts to 7.7%, providing evidence of the failure to properly identify at-risk and malnourished children within anganwadi centres, and devastating effects for the unidentified child”, it adds.